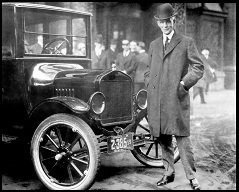 In 1909 when Henry Ford designed and prepared for the production of the Model T, he said "Any customer can have a car painted any color that he wants so long as it is black". At APA Benefits, Inc. we believe that the client and the advisor can have a retirement plan designed and built how they want it, not how we want it produced. When a client or an advisor contacts us, we first, ask questions to understand their needs. Once we understand, then we can start helping design a plan that fits their needs. Whether your plan is already built or needs to be set up from scratch, the first item is to review potential designs for the plan or any changes that need to be made. Since APA Benefits, Inc. is one of the oldest firms in the Intermountain area, we have built the skills needed to setup the proper design for you. Because of our knowledge, we can educate the client and the advisor of potential pitfalls while in the design phase and not just once the problem occurs. Once the suitable design is reached, APA also helps in the provider search. There are many retirement plan investment providers out there. Since we know the market place, we will contact the providers and prepare a comprehensive analysis for the advisor or plan sponsor. Rather than tell you which one is least expensive today, we will consider the potential growth of the plan and analyze the cost over 5 years. Furthermore we will provide information on each providers strengths and weaknesses. Since 1969, APA Benefits has been providing high-value design, administration, and advisory services to businesses throughout the United States. These services extend to Qualified and Non-qualified retirement plans as well as Section 125 Cafeteria, Section 105 Health Reimbursement Account (HRA) plans, HSA Plans, and COBRA administration. Our company is headquartered along the Wasatch Front in Salt Lake City, Utah. We decided years ago that it is important to understand what you do and do it well. We made a commitment to be the best recordkeeper and administrator possible. We also decided that it is important to find the best partners that know what they do and do it well. This is why we seek out and work with some of the best advisors in the Intermountain West. Our strengths are to know the details of the laws that govern retirement plans, 125 plans, and Health Savings Accounts. This allows us to sit down and design a plan around our clients needs and not merely hand them an off the shelf type plan. Whether its designing a DB/DC combination plan or a new comparability plan, our staff has the technical skills to design a plan that best fits the client.